As a historian, I want to pause for a moment and thank the collectors. While I enjoy a jaunt through an antique, rare books, or vintage store, I have not developed the eye or the love of the search and acquisition of some desired object, document, book, or even clothing item. As a historian, I also readily admit that I do not have the financial resources of some of the great collectors of Americana. Richard Gilder, Lewis Lehrman, Samuel Tilden, John Jacob Astor, or James Lenox have been instrumental in building historical collections in New York City such as Gilder-Lehrman Institute of American History at the New York Historical Society and the New York Public Library-Steve Schwartzman building. Their love of history and their ability to collect it have given many historians the evidence needed to demonstrate the complexity of the past. These important collections grew due, in part, to the focused work of collectors. These stewards of American history have played an important role in my research and teaching. For the past couple of years, I have worked closely with librarians and archivists in New York City to teach my students to use the great collections resources for their own projects. That ongoing collaboration with historical practitioners has greatly enhanced my knowledge about drug and alcohol collections. As I discussed in a previous blog, “Doing Drugs in the Archive,” there are many unique collections on drugs and alcohol that are worth a trip to New York. Returning to this theme, I plan to highlight a couple of collections this year, and I want to start by introducing a smaller collection:the Liebmann collection of American historical documents relating to spirituous liquors. 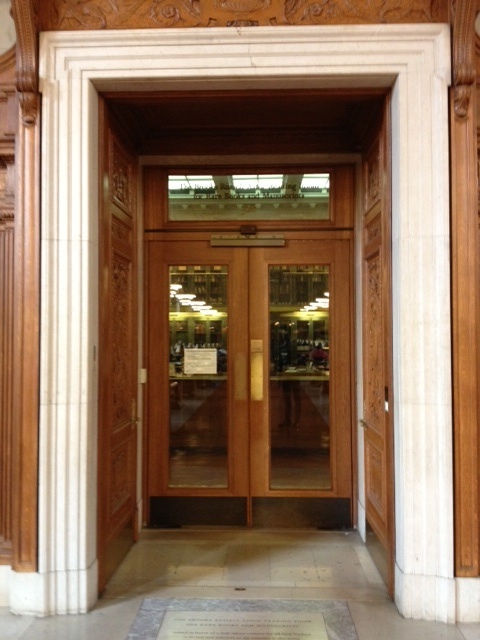 It is part of the Manuscripts and Archives Division, The New York Public Library Astor, Lenox, and Tilden Foundations in the Schwartzman Building. Dr. Liebmann received a Ph.D. in Physical Chemistry in his native Switzerland. In the U.S., he worked for General Electric and Schenley Research Institute. At Schenley, chemists toiled to improve the methods to make alcoholic beverages, and I (and many other folks) really want to thank them for their hard work. While working at Schenley, Liebmann grew interested in the history of spirits and their making. He also became intoxicated by the idea of collecting that history, and his collection contains 226 documents. 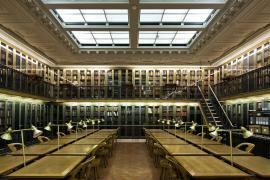 As Tal Nadan, an archivist in Manuscripts and Archives, told me that “one could write an article about each of the documents – highlighting their individual significance and relationship to history, or about Liebmann’s collecting practices. What the collection lacks is a narrative thread that relates each document to the next, making it more difficult to discuss the Liebmann collection as a whole beyond the general theme.” It is a fascinating collection that moves across borders and offers some important insights. For example, the collection holds a rare printed document issued by Major General Worth and Governor and Com. Officer W.W. Mackall during the U.S. occupation of Vera Cruz during the Mexican-American War that led to Mexico losing one-half of its territory to the United States. The orders were issued in April 1847. Although the orders are very brief, the documents demonstrate the depths of the occupation and the occupiers’ concerns. In one of the orders, Señor Ramer (sic) P. Vela, the alcalde (mayor) of Veracruz is permitted to leave the city once he relinquished his position. Lt. Col. Holzinger replaced Ramer P. Vela, “with all honors which by the Mexican laws appertains to this office.” Beyond the role of alcalde, Mackall bestowed the important position of harbor master to Jonas Levy. Veracruz was and remains one of Mexico’s major port cities. Levy’s appointment gave the Americans access to the customs and duties of a vast majority of commodities that entered Mexico. Any and every unauthorized person who shall be detected in keeping liquors for sale by retail or vending the same shall beside forfeiture of stock be subjected to a fine of two hundred dollars and imprisonment. Anyone who has spent any time in Mexico understands that there is a vibrant informal economic sector that Spanish, French, Americans, and Mexicans have all tried to harness for the purpose filling state coffers. Moreover, the Spanish tried to control the selling of pulque with little luck, and I am sure the Americans did not fare much better in their efforts What Mackall’s orders do demonstrate was the potential sales of alcohol could generate income for his occupying government. That by virtue on an act of the legislature of this state, spirituous liquors are prohibited to be sold or used in the goal of the said city and county, which law is humbly presumed in attendance with inconvenience to debtors as well as those committed for crimes and offenses but in particular manner bears hard on the your petitioners who without the privilege of disposing such liquors is unable to obtain a subsistence for the prisoners committed for crime against the people as well as for himself and family considering that the duties of the office of a goaler confine him entirely to the Goal and prevent him for prosecuting other business as also the fees annexed to said office are wholly inadequate to the support of your petitioner and family. Pearce captures the struggles of gaolers who had to maintain prisoners who were not supported by their family members. His request to sell liquor to support those prisoners but also to maintain his family documents his low wages but also his previous economic activities. Selling liquor to prisoners brought his family additional income and allowed him to maintain certain prisoners. Probably, the vending of spirits also helped him in keeping some order in the prison. In my own research on Mexico, jailers routinely sold alcohol and narcotics in the prison. A moralistic stance surely would have criticized the jailers for contributing to the criminality of the prisoners. However, if the jailers were responsible for maintenance of the prisoners who did not have familial support, these additional revenue streams not only supported the jailers family, but were also re-distributed into the prison. While Mackall’s orders and Pearce’s letter are brief documents, both are excellent pieces of evidence that demonstrate historical continuities. Mackall’s control of a major port city and its customs, tariffs, and cantinas demonstrates the impact of the American occupation on the quotidian existence of Mexicans who remained the city. Pearce’s letter to the the New York state legislature gives the historian a small glimpse of the lives of prisoners and jailers in early American history. As a chemist interested in spirits and their place in American history, Dr. Liebman’s collection is excellent for those unique forms of evidence that contribute to a broader understanding of the past. I wonder if I’m correct in thinking that this great post further suggests that the internet is changing the historiography of alcohol and drugs to the point that the “history is written by the winners” bias may be loosing strength? It is so much easier to gain access to primary data and the ‘diaspora’, if you will, of primary alcohol and drug material also seems to be getting found more effectively as well.